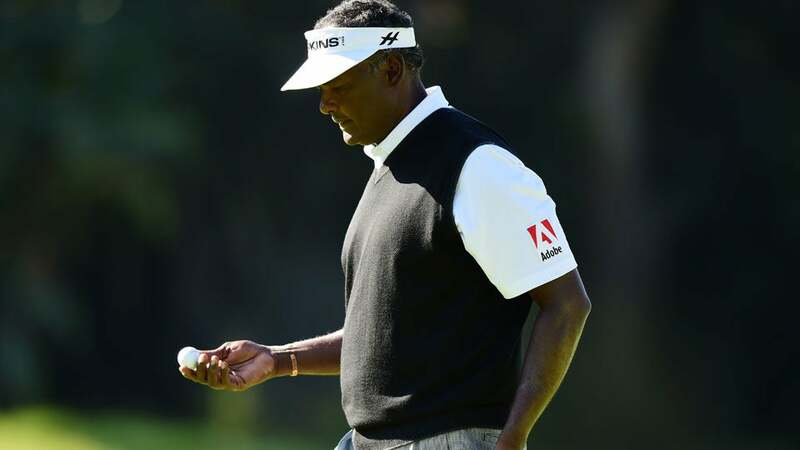 More than five years after Vijay Singh first took the PGA Tour to court over how it investigated his use of deer antler spray, the two sides have settled the lawsuit, according to a statement by the Tour on Tuesday. The case was set to go to trial next week in New York. Terms of the settlement were not disclosed. “I’m very happy for Vijay that the matter has been resolved,” said Jeffrey Rosenblum, one of Singh’s lawyers. Singh was suspended shortly after he admitted in a Sports Illustrated article in early 2013 that he’d taken a deer-antler spray that contained an “insulin growth factor,” a hormone similar to HGH, which was on the Tour’s list of banned substances. Under the Tour’s drug program, an admission is treated like a positive test result. (The Tour also reportedly re-tested a sample from Singh and found small traces of IGF-1.) It told Singh on Feb. 19, 2013, that he was suspended for three months. Two months later, the Tour withdrew the suspension after the World Anti-Doping Agency (WADA) rescinded its ban on deer antler spray. But Singh took the Tour to court anyway, claiming “public humiliation and ridicule” and that the drug program was unfairly and inconsistently enforced. Had the case gone to trial, GOLF.com previously reported that the Tour could’ve been forced to make public a list of all previous offenders of its drug policy. The Tour began publicizing names and corresponding punishments at the start of the 2017-18 season. Prior to that, all violations were kept in-house. “If some of the documents the Tour thought would be remaining confidential won’t be, that’s important,” said Sports Illustrated legal expert Michael McCann in a 2016 story about the lawsuit. “It makes it more threatening to the Tour if they have to give up information that they don’t want going public.” With the settlement, the Tour will no longer have to worry about that list leaking out of Ponte Vedra. "The settlement reflects our mutual commitment to look to the future as we put this matter behind us," read the Tour’s Tuesday statement. "The PGA Tour fully supports Vijay as he continues to be a true champion on the PGA Tour and PGA Tour Champions. The PGA Tour recognizes that Vijay is one of the hardest working golfers ever to play the game, and does not believe that he intended to gain an unfair advantage over his fellow competitors in this matter. Vijay fully supports the PGA TOUR’s Anti-Doping Program and all efforts to protect the integrity of the game that he loves so much." Singh, 55, is a three-time major champion and a member of the World Golf Hall of Fame. He played nine events on the PGA Tour last season and made the cut at the Masters. Last week he shot a final-round 61 to win the Champions Tour’s season-ending event, the Charles Schwab Classic.